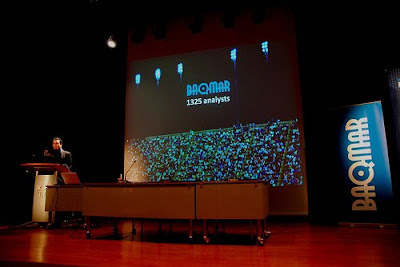 Vlerick Marketing Alumni: Partner Event: BAQMAR's "Digging for Gold"
Short introduction: BAQMaR is the Belgian Association for Quantitative & Qualitative Marketing Research. BAQMaR wants to make marketing research COOL again: well-known, popular and unique. As a friend of BAQMAR we received one free ticket. Please react to this blogpost if you would like to attend this event on behalf of the Vlerick Marketing Alumni (offer exclusively for paying members). Company Package’: 5 tickets for 200 Euro! “SMART 2009″: Who Becomes the SMARTest Student Researcher of the Year?